The Latin Mass – also commonly known as the Traditional Mass, the extraordinary form of the Mass, or the Tridentine Mass – is Mass according to the Missal of Pope St. John XXIII, promulgated in 1962 before the major reforms of the Second Vatican Council. Its wider use has been promoted by the Pope St. John Paul II and Pope Benedict XVI in documents such as Ecclesia Dei (link), Summorum Pontificum (link) with its instruction (link), and Universae Ecclesiae (link). A newcomer to the Latin Mass who is already familiar with the ordinary form of the Mass will be struck by many differences, such as: the exclusive use of Latin for the prayers, the priest facing the same direction as the faithful, the greater opportunities for silence, and – at a Sung Mass – the predominant use of Gregorian chant and sacred polyphony. Most of the adult parishioners at St. Philippine Duchesne did not grow up with the Latin Mass, but were themselves new to it at some point. Please feel free to approach them with any questions either before or after any Mass. The priests are also very happy to meet newcomers and assist them in any way possible. At St. Philippine Duchesne, the pews are stocked with St. Edmund Campion Missals which can be used to follow the prayers on Sundays and some of the more solemn Feasts. Some people, especially when they are new, prefer to use a more trimmed missalette, which doesn’t include all the propers for various Sundays and Feasts, but is much easier to follow. 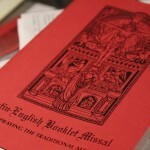 These so-called “red missalettes” are available at the literature rack at the back of the Church. 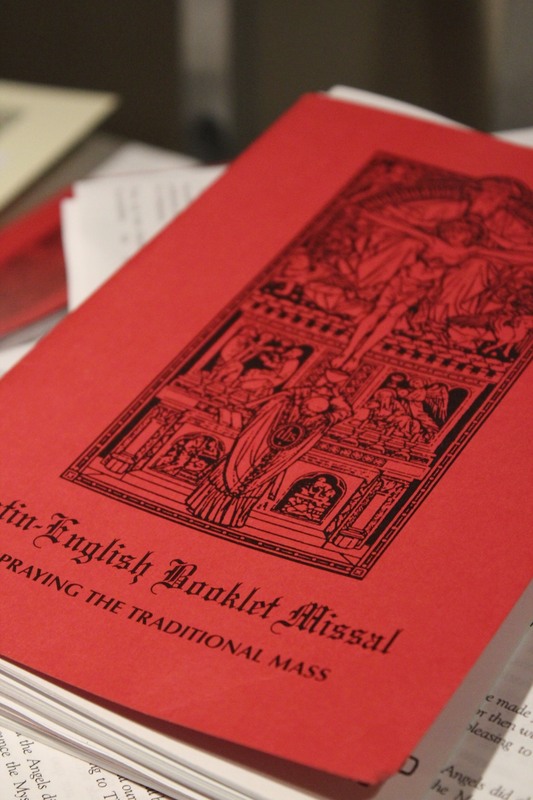 Please note that Missals printed before 1962, though fine for general use throughout most of the year, will occasionally have differences in their calendars of feasts and – especially – in the rites and ceremonies of Holy Week. 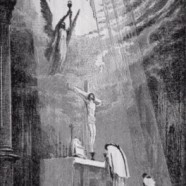 Website: Divinum Officium, Sancta Missa – This site updates daily with the text of the Mass of the day, in Latin and English. Website: Divinum Officium, Breviarium – The text of the Divine Office (the official prayer of the Church in its traditional form, based upon the recitation of the Psalms, prayed every day by priests and religious) of the day, in Latin and English. App (iPhone, Android): iPieta – Liturgical texts, prayers, devotions, liturgical calendars, the Sacred Scriptures, writings of the Church Fathers, and more. App (iPhone only): iMass – Watch livestreams of daily Mass from the FSSP chapel in Sarasota, Florida.